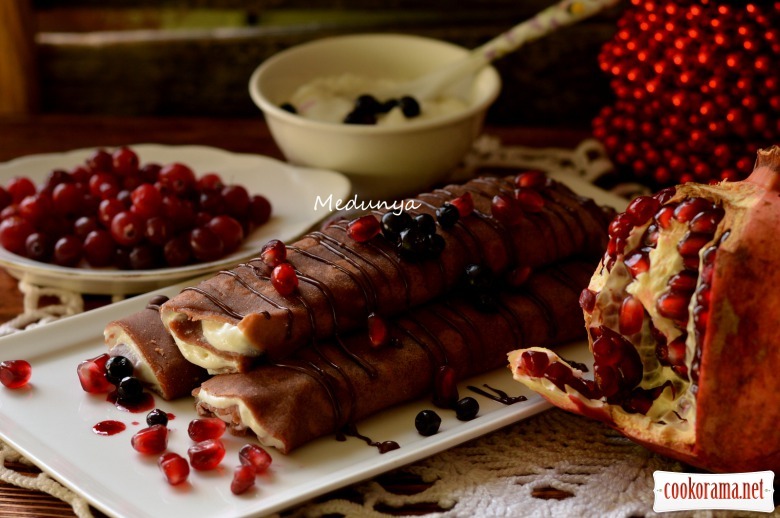 A delicious combination of fragrant coffee and chocolate pancakes, delicate curd-citrus filling and chocolate sauce. Combine hot milk and instant coffee (you can boil brewed coffee with milk). Cool it. Add egg, salt, sugar. Mix it. Mix flour in with baking powder and cocoa. At the end mix oil in and leave dough for 45 min. Bake thin pancakes. For filling grind in blender fresh fat curd, sour cream, sugar powder and peel. Smear thin layers on pancakes. Wrap in tubes. 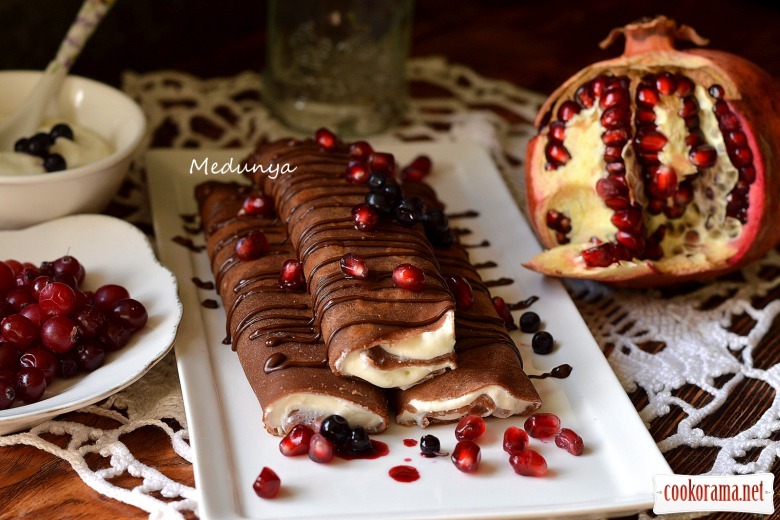 Serve, pouring with chocolate sauce (melt chocolate and cream in water bath). 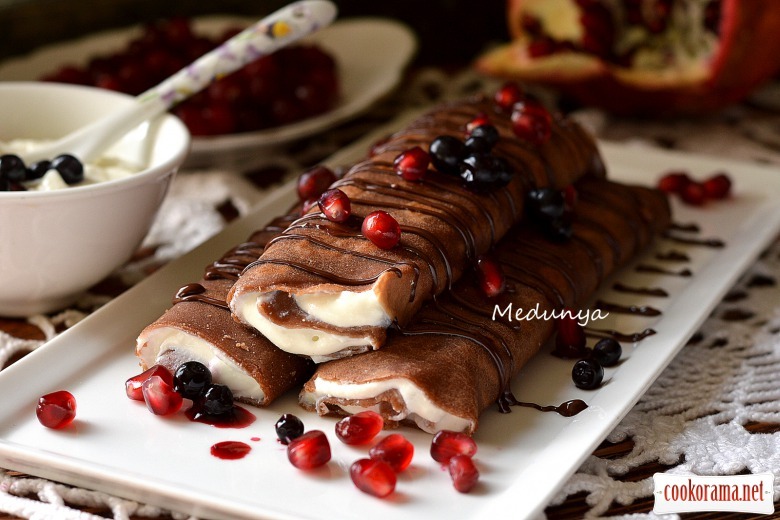 Top of recipe "Coffee-chocolate pancakes with curd filling and chocolate sauce"
Має бути вишуканий смак! Треба и собі спробувати приготувати такі млинці. Обовьязково спробую приготувати, на вигляд дуже смачні. Гарні фото!!! Від себе хочу відмітити млинці — неймовірно ароматні та смачні.